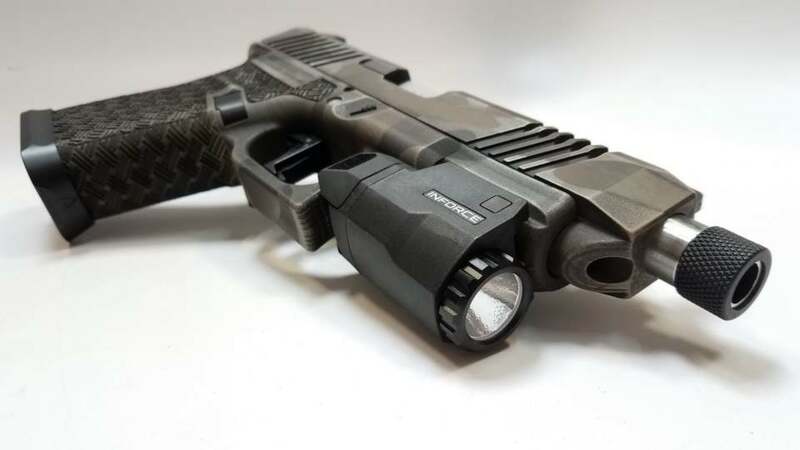 The XC9 Crossover Carry 9mm combines the benefits of a full-sized pistol with a concealable compact frame. The Crossover Carry made for the Glock® 19 by Freedom Flag Products lets you enjoy the benefits of a full-length G17 slide on the compact G19 frame. 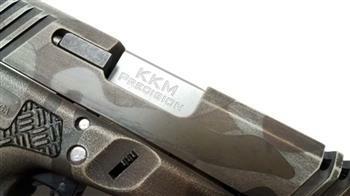 Extra length gives a longer sight radius for better shot placement, while also aiding in recoil control. The shorter G19 grip is an excellent option for those who carry concealed but are ok with the full-size pistol’s longer slide. And it aids shooters with smaller hands who find the full-sized grip cumbersome. 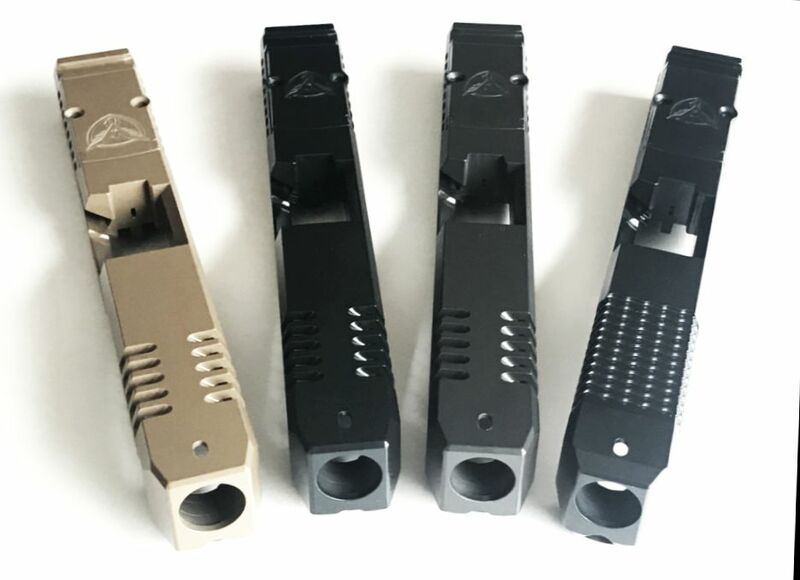 Our extended slide comes with standard factory front and rear sight cuts, so you can install any aftermarket sights that fit a Glock® factory slide. Due to changes in barrel-to-frame geometry caused by mating the longer slide with the smaller Glock® 19 frame, a standard Glock® 17 barrel won’t work with this slide. 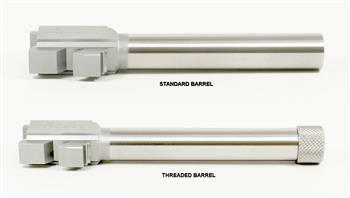 Instead, use the XC9 KKM Standard Barrel which comes with the overall kit. 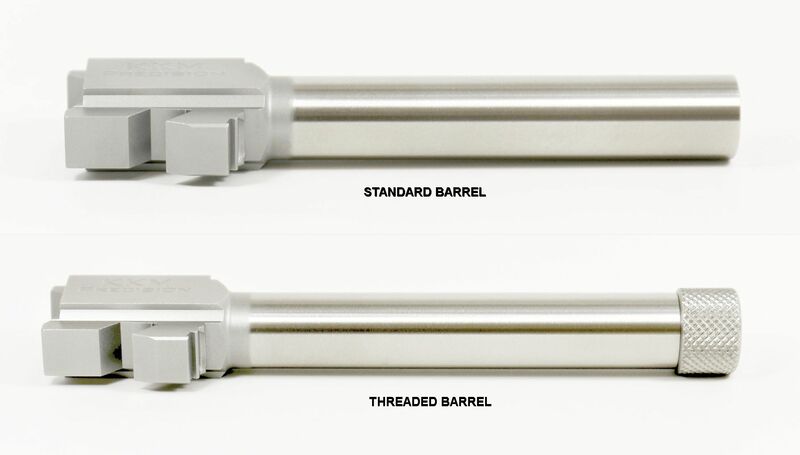 Optional purchase: extended threaded barrel. Also you must use the Freedom Flag front sight screw to affix your front sights and a 1/16" allen wrench which come with the kit. 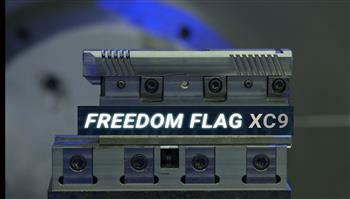 Please note, the XC9 slide was made to use the stock recoil spring for ease of use and function. For Standard Cut: Crossover Carry 9mm include clean, wide serrations at the front and back for a secure, purchase when racking the slide. 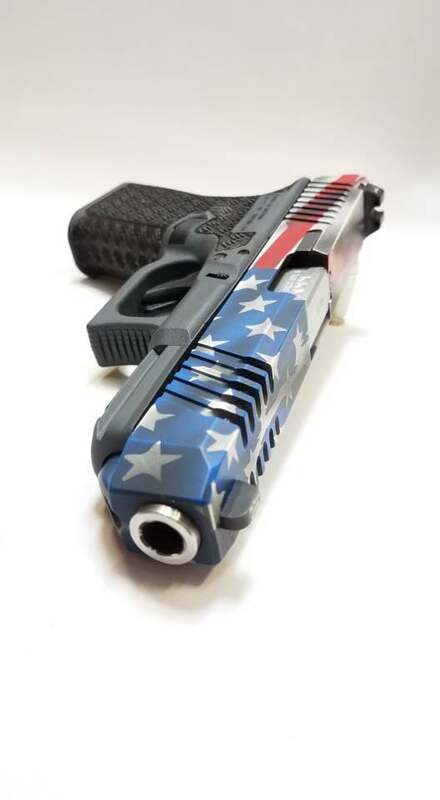 The serrations on the top corner help reduce weight and enhance air flow to keep your barrel cool plus it gives your pistol a unique, aggressive style. The extended bull nose and dust cover make for a one of a kind look. 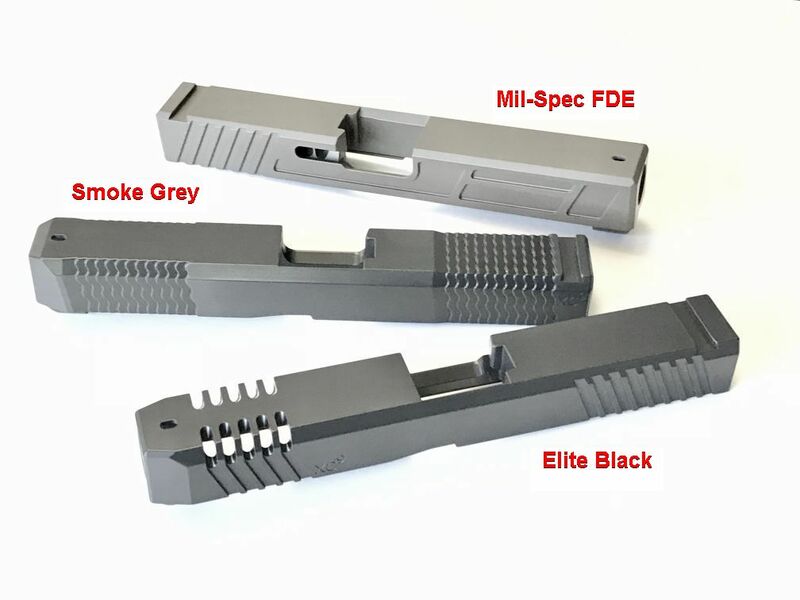 For Fish Scale: Crossover Carry 9mm include fish scale serrations at the front and back for a secure grip when racking the slide. The extended bull nose and dust cover make for an aggressive one of a kind look. 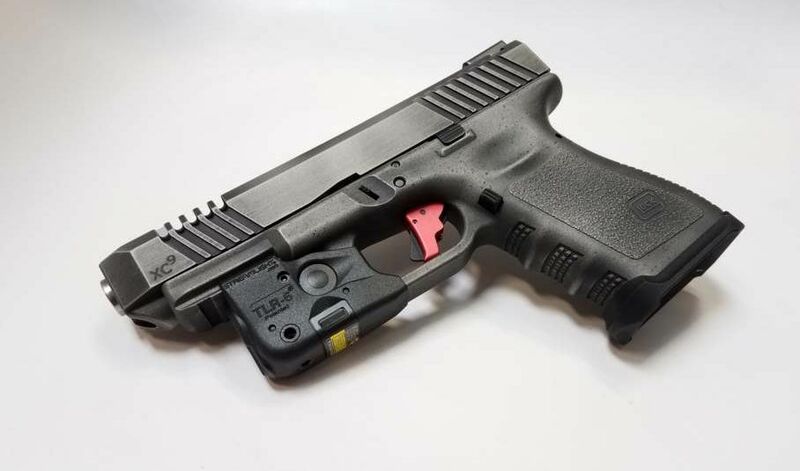 For Recessed Cuts: Crossover Carry for Glock® 19 include recessed side cuts from the front to the back which allows for a good purchase when racking the slide. The extended bull nose and dust cover make for an aggressive one of a kind look.